The wheels are turning, momentum is growing, and we continue to move towards our product launch. The Million Dollar Case Study continues after a 1 week hiatus while we had the samples shipped to us! And the good news is that the samples arrived in a timely manner, within a week or two of ordering them – and the quality is very nice! Evaluating the samples was an interesting exercise, particularly because I was privy to only one part of the equation: the product quality. The other relevant part of this step is how the supplier was to work with and communicate with, which Greg had insight to. So here is the holistic look at what we are considering when evaluating the product samples, our interactions with them, and ultimately which supplier is a good fit for joining us for this journey. Communication: This is obviously an essential ingredient to the success of our product. Is the supplier responsive, thorough, detail-oriented, and have a grasp of English so that we can build a solid partnership? Product Quality: Though a foregone conclusion is that we need a solid product quality, it is even more important for us as we will be pricing the towels at the high end of the market. Some of the top sellers have some negative reviews commenting on the product quality, which is an opportunity for us to differentiate and offer a higher quality product. Pricing: We have a rough estimate of what the product will cost from our initial conversations. We will need to nail down a final negotiated price before making final assessments on the suppliers. Intangibles: We ultimately want our supplier to be a partner with us in business. Therefore, we want someone who is proactive in helping us grow our business, with the understanding that there are long-term benefits for them. There are four ways that we could carve out a specific niche for our towels. 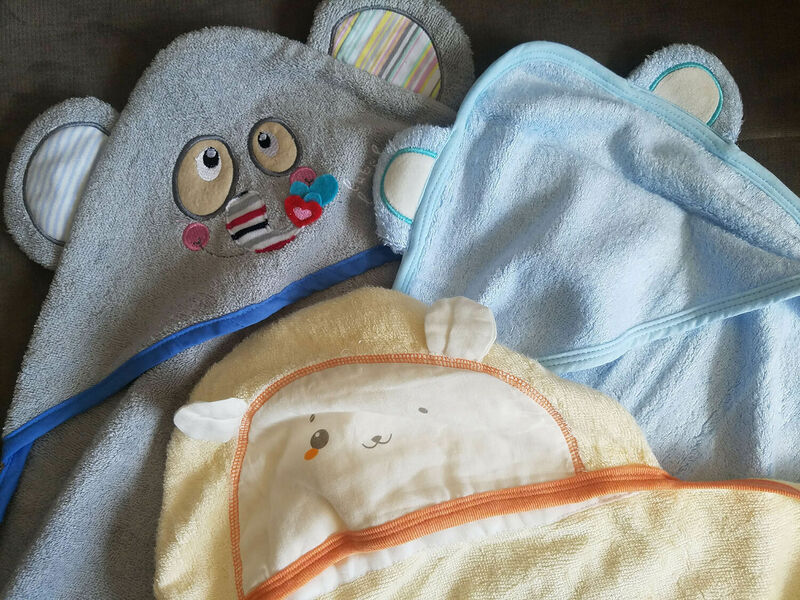 Offer a variety of colors: if we offer a few variations of baby towels, possibly with a pink, blue and neutral color, we can get more market share. There are existing options of each color, but not many sellers currently offer a variety of colors. Size: the 90x90cm towels are large, and work for newborns through infants or older. If our towels are larger, that becomes a selling point for us (we marketed the bamboo marshmallow sticks, aka Jungle Stix, as the longest in the market, and that was quite successful). Premium Quality: As noted above, we are going to be pricing ours as a high-end product, therefore the product needs to reflect that. 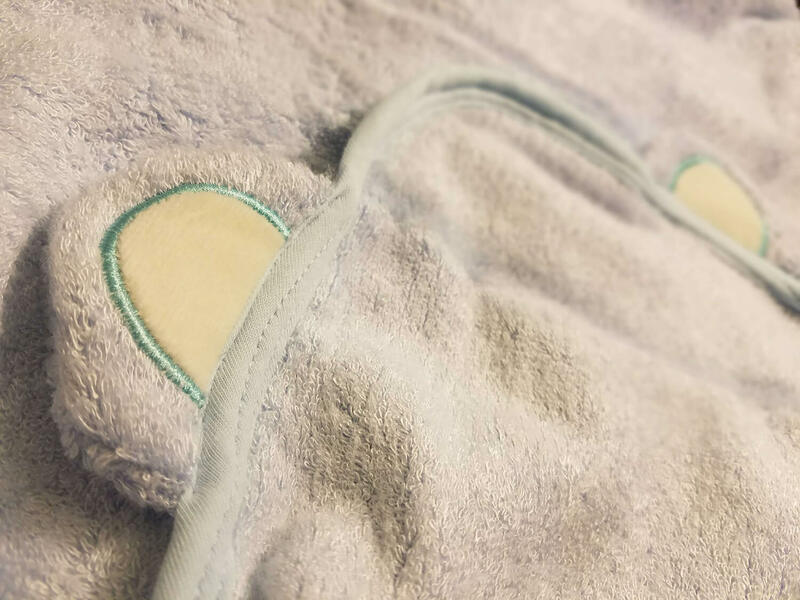 Added Value: One of the suppliers offered the suggestion of including a wash cloth with the hooded towel using the left over fabric. It’s an affordable way to add some value and uses up waste fabric. Next we took a closer look at the physical samples, here’s how they fared. Supplier 1 sent one sample, a 400gsm towel, and three 400gsm swatches. The interesting thing about the sample that we received is that it is from one of the top 10 sellers for these towels. This is a nice show of validation for their product quality and consistency, as the real customer reviews are largely positive. I liked the swatch samples as well, they were silky and smooth. I tried to get a close up shot, but I don’t think I did it justice in conveying the velour-type feel. This is a fabric that a baby would certainly enjoy after a warm bath! Supplier 2 sent us two standard issue towels: 400gsm, 92% bamboo and 8% micro fiber. The samples differed in size, one was a 75x75cm towel, and the other a vast 90x90cm. As an American, I am uncertain at times when it comes to the metric system, but that extra size makes a big difference! Moreover, going large was one of our differentiating factors that we plan to market, so it was nice to see how the sizing looks in person. The weight of the towel is noticeably heavier than any of the other towels I had. To me, this had a very “premium” feel, in softness, thickness, and weight. If it were a 90x90cm towel, it would garner a happy parent paying $25-$30 for the best towel on the market. I know as a parent, I would! There is a fair amount of data points to process across the three suppliers. The good news – each of these suppliers would be good partners going forward. Which supplier do you think would be a good fit for what we are looking for? Please share your thoughts, and reasoning, in the comments section below! Greg is going to continue conversations with each supplier, and see if there is room for negotiation on the quoted price. Within the next week or so, assuming a fair price at a manageable Minimum Order Quantity, Greg will put the deposit down and get those towels into production! In the meantime, we need to nail down the branding and package design. The manufacturer is going to need a package design for the custom boxes that will hold our towels. What are our towels called? TBD. But it’s time to make those decisions! A participant in the Collaborative Launch coined our bamboo marshmallow sticks as “Jungle Stix”, and that worked quite well! So feel free to get involved. Please drop in a suggestion or two for what we should call this brand. It will really help inform the branding exercises that we run through next week. Thank you so much for all of the very informative material! You guys have the best content I’ve found about selling on Amazon! I have a question about forms of payment when paying a supplier. I have paid for samples from a supplier using Paypal but I am unsure what the best way is to pay for bulk orders. I was planning on doing a wire transfer for part of an order (the 30%) and maybe paying using my credit card to pay for part of the order (the 70%) through Trade Assurance on Alibaba. I was wondering how you normally pay your suppliers? If paying by TT do you pay all the fees for the TT service? Or do you negotiate with your supplier that your supplier pays the inbound fees (to their bank) and you pay the outbound fees (to your bank)? What is the normal/most common way to do this? And is TT generally the best way to pay- with the lowest fees? I also have a question about inspections. Do you use Alibaba for your inspections or a 3rd party inspection service? I use Alibaba Trade Assurance/eChecking for nearly all of my purchases other than samples. If a vendor on Ali doesn’t have TA, usually there’s a good reason for that (they’re not reputable). As for inspections, you should probably use a third party service you can trust. do you have a supplier purchase order template i can use ? Hope this helps – it can be used for launching in any marketplace 🙂 Please note it is not a legal document, just something we have used for our own product launches! After asking a few suppliers for the cost of the sample, the majority gave me about $20 – $40 for the sample and another $20-$40 for shipping the sample. One of them asked $150 for the sample. They seem to have lots of clients selling on Amazon and are very proud of their reputation and high quality and being a gold supplier for 6 years. Greg mentioned to not negotiate sample costs. However, I would like to negotiate this one, in case I do consider them. How do you suggest to approach it? You can certainly try to ask for a lower price, or at the very least just ensure that the money is credited towards your bulk order, should you go that route. Greg mentioned Alibaba Secure Payment, and Alibaba Trade Assurance. 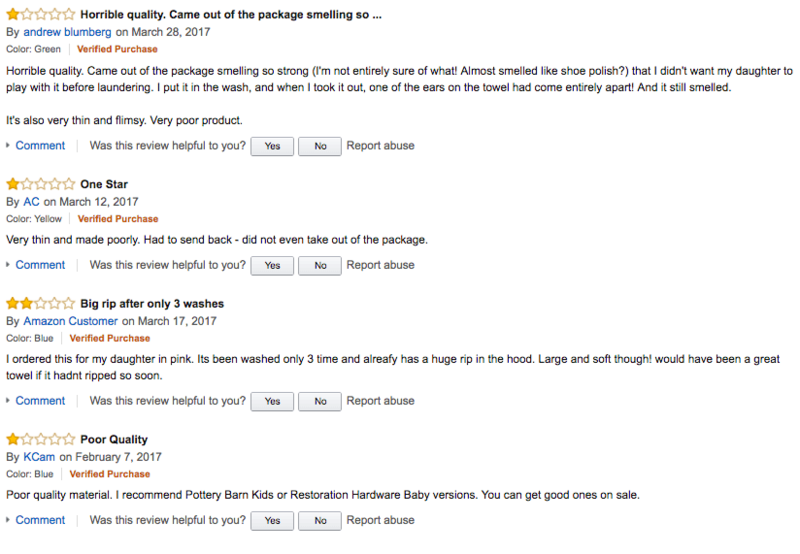 Which one did you use for the baby hooded towels? I checked Alibaba and it seems Secure Payment (Escrow) is available on wholesale. Are you guys registered as wholesalers? How can I use Secure payment as a regular buyer on Alibaba? WHat is the difference between the 2 services? What criteria did you use to decide which one to use? We are not registered as wholesalers–paid by T/T (bank transfer). I am not certain about how to use Secure payment as a regular buyer on Alibaba, however I have heard it is fairly straightforward. For our products, we have purchased the sample with PayPal and then paid via bank wire transfer. Hope that helps! My very soon product on FBA will be a textil, a combination of polyamide & polyester. 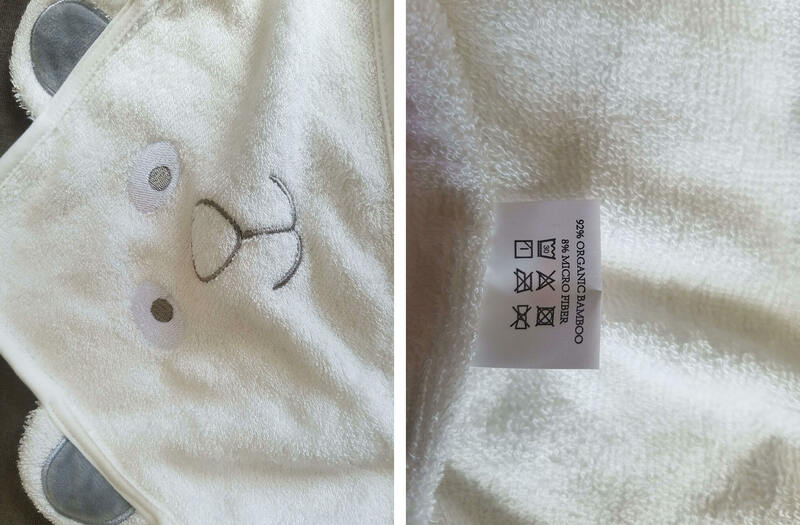 Today, my seller is asking me for the design for the hook tag, that small cloth attached to all textil products that explain how to take care of it, like ironing, washing etc. I see that you designed a very cool one for the Jungle snugs, with the logo and the “icons” of an iron, washing machine, etc. Di you use any service like 99designs, Fiverr, etc to get that done? I have no idea what “icons” to use in the tag. Is there any web site where you can put the material and get the proper icons for that specific material? Thx a bunch guys for any help. We had our in-house designer create the labels, however I’m sure that you can find experienced people on 99designs, fiverr, etc. i don’t know of a website, but maybe you can find some examples on Google Images for a similar product? Hi bit confused between EXW as thats what we were using last week which is the price for the product ready for pick up from factory and FOB quote which is includes transportation costs which is what greg had on the slides today. When we place our first order how will it work? EXW or FOB? A very nice way to evaluate samples from supplier. I’m from the UK and was wondering when you pay the price quoted by the factory for samples (which i don’t mind doing btw) that can range from anywhere between $35-$50, do they include customs duty? Or are you then expected to pay for duties when they are delivered? As I have noticed this isn’t mentioned in either case study. This will vary in different countries. Here’s a useful article on the UK Gov page for reference under ‘customs duty’. The best option is to ask your supplier if the cost includes customs duty, or if customs duty is not applicable, to ensure they send the sample so that it’s properly labelled to avoid any unnecessary hold ups at customs. Great case study. I am following week by week. Ok, here are my thoughts about the products and suppliers. From your research, you stated that you want to have the biggest towel in the market. Among the three suppliers, I think supplier 2 met that requirement. But you also stated that you wanted a premium products and based on that I think supplier 3 met all your requirements regarding the quality – variety, 100% bamboo, rectangular in shape. Even looking at the pictures you posted, samples from supplier three looked the best. 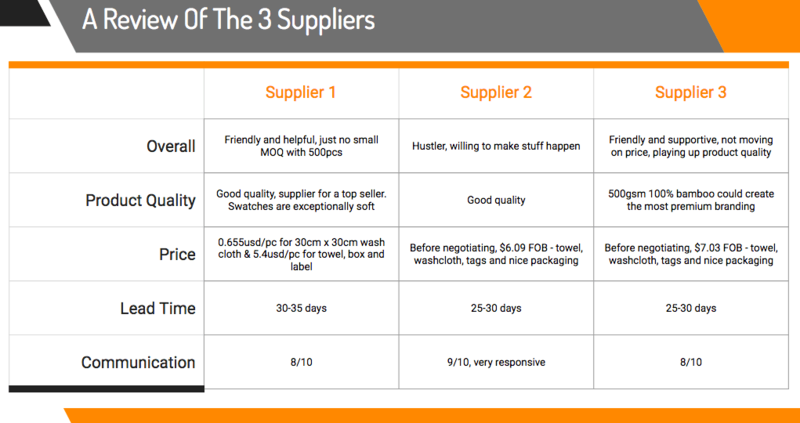 Furthermore, the table showing the comparison between suppliers shows that supplier three has met all the factors when choosing a supplier. Can supplier three produce the 90×90? And for the name, I thought of Panda Snugs. Awesome, glad to hear you are enjoying it. Awesome name too, not far from the one we have chosen “Jungle Snugs”. When making the final decision on a supplier it always comes down to a wide variety of factors, as highlighted in this post. All three of these suppliers had good quality products and were able to produce what we were after. But a big part of the final decision comes down to the negotiations and price, as this is a business decision after all. Hello Xavi, are you catalan? Greg mentioned that he was going to check which colors sell best. I also heard him say previously that sometimes it’s not possible to measure which variation sells best. What’s the process he uses for checking which variation sell best when it works? First off I really appreciate this detailed walk through! Really great information! Suggestion: As a mother of 2 young children may I suggest you also wash the towels to see how the fabric holds up. 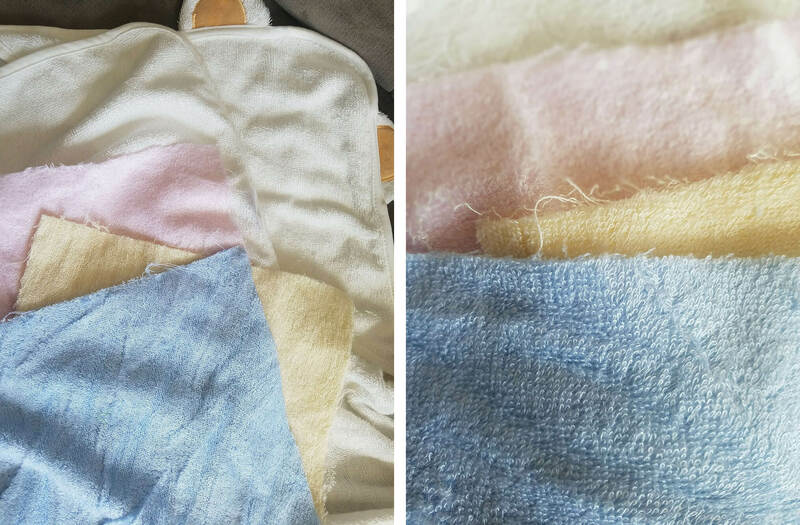 I have owned a few baby towels that get either very thin when washed or the fabric gets a weird rough texture to it. Jungle Baby is a great & cute name! gen can you send a copy of the purchase order template/contract Greg used for the order? Obviously just amend it to meet your specific needs. Hope this helps! Can I get any help ? Thanks ! Sorry you haven’t received any emails that we send out–have you checked your spam folder just in case? sure, we’d be happy to help however possible. maybe email [email protected] and we can address your questions! Jungle Baby Hooded towel. I think you would choose supplier 3. Really enjoy the videos and blogs. Keep up the great work! I’ve downloaded all of the blogs and saved them to PDF using the print function but the formatting is not very good. Some content gets cut off from the pages. I discovered a WordPress button from printfriendly that you could add to the site to make the process easier for saving to PDF. Alternatively users can add the printfriendly browser extension. No affiliation. Just found it extremely useful for my workflow. This is super useful! Thank you very much! More of a question than comment or name suggestion. 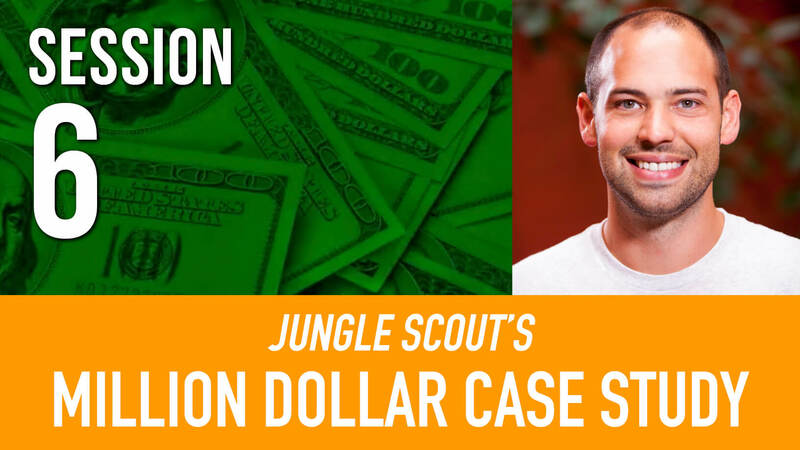 Are you considering offering some kind of special package pricing deal for the Jungle Scout Web App and Jungle Scout Chrome Extension during this case study? This might help some get started sooner on their own product search. We are doing this case study moreso to help share the process and details of launching, haven’t really planned any promotions around it. However, you can always reference the free Jungle Scout Estimator, http://www.junglescout.com/estimator to help you get the data you need for your product research. hope this helps! As already said, keep in mind that the Chinese legislation is different than in the US. What they call organic bamboo is most of time anything really organic. They must provide at least some certification like GOTS or Oeko. Actually you cannot put on the label “bamboo” without “rayon” if you are selling in the us. Great point about the different regulations in China and the US. Thanks for sharing the link, that is very interesting and relevant! Did you have to a ask the supplier for a GOTS or OEKO-TEX® Certification prior to Launch of Jungle Snugs?